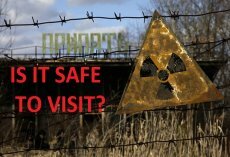 Who makes Chernobyl tour's business? The very first group tours to the Zone were organized by one of the liquidators of the Chernobyl Nuclear Accident – Sergey Mirnyi, he was then responsible for radiation reconnaissance. Later he would organize his tour company and become a guide. Chernobyl Zone the place of the world's worst nuclear accident, is going to become a park of solar energy farms. The decision to change a comprehension of the Exclusion Zone, from the place of tragedy to the zone of advanced technologies and development was made last year. This year participants of the beauty contest "Miss Ukraine Universe-2016" went on a trip to Chernobyl. All girls admitted that they had never been to the exclusion zone before. A visit to the object "Chernobyl-2" which is a huge 150-meter antenna radar, became an important part of their program. Alternative power engineering in an exclusion zone: reality or whim?